Mr. Niehaus is the Chairman and Founder of GCP and has served as the Chairman of GCP/Greenhill Capital Partners and its investment committee since its formation in June 2000. Mr. Niehaus has over 30 years of private equity investment experience. Mr. Niehaus joined Greenhill & Co. in January 2000 as a Managing Director to form Greenhill Capital Partners. Mr. Niehaus founded GCP in December 2009. 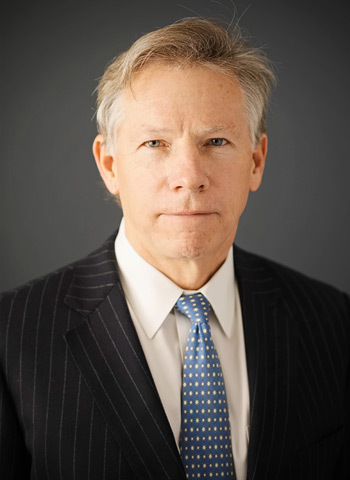 Prior to joining Greenhill in 2000, Mr. Niehaus spent 17 years at Morgan Stanley & Co., where he was a Managing Director in the merchant banking department from 1990 to 1999. Mr. Niehaus was Vice Chairman and a Director of Morgan Stanley Leveraged Equity Fund II, L.P., a $2.2 billion private equity investment fund, from 1992 to 1999 and was Vice Chairman and a Director of Morgan Stanley Capital Partners III, L.P., a $1.8 billion private equity investment fund, from 1994 to 1999. Mr. Niehaus was also Chief Operating Officer of Morgan Stanley’s merchant banking department from 1996 to 1998. During Mr. Niehaus’ tenure in Morgan Stanley’s merchant banking department, the department invested approximately $3 billion in 66 separate transactions. While at Morgan Stanley, Mr. Niehaus was the senior member of the investment team for eight equity investments totaling $228 million in invested capital. Mr. Niehaus has been a Director of the following GCP portfolio companies: Heartland Payment Systems, Everlast Energy, EXCO Resources, Global Signal (Vice Chairman and Director), Peachtree, U.S. Exploration, Healthcare Finance Group, Stroz Friedberg, Acrisure and SV Resource Partners. Mr. Niehaus is currently a Director of Tresata, TransFast, Zeta Global, ClearView Risk and Complete Merchant Solutions. Mr. Niehaus is also Chairman and a Director of Iridium Communications (Nasdaq: IRDM) and has been a Director of many other public and private companies. Mr. Niehaus is a graduate of Princeton University (1977) and Harvard Business School (1982), from which he graduated with high distinction as a Baker Scholar.